The physiological basis of resilience to age-associated and AD-typical neurodegenerative pathology is still not well understood. So far, the established resilience factor intelligence has been shown to be associated with white matter network global efficiency, a key constituent of which are highly connected hubs. However, hub properties have also been shown to be impaired in AD. Individual predisposition or vulnerability of hub properties may thus modulate the impact of pathology on cognitive outcome and form part of the physiological basis of resilience. 85 cognitively normal elderly subjects and patients with MCI with DWI, MRI and AV45-PET scans were included from ADNI. We reconstructed the global WM networks in each subject and characterized hub-properties of GM regions using graph theory by calculating regional betweenness centrality. Subsequently, we investigated whether regional GM volume (GMV) and structural WM connectivity (WMC) of more hub-like regions was more associated with resilience, quantified as cognitive performance independent of amyloid burden, tau and WM lesions. Subjects with higher resilience showed higher increased regional GMV and WMC in more hub-like compared to less hub-like GM-regions. Additionally, this association was in some instances further increased at elevated amounts of brain pathology. Higher GMV and WMC of more hub-like regions may contribute more to resilience compared to less hub-like regions, reflecting their increased importance to brain network efficiency, and may thus form part of the neurophysiological basis of resilience. Future studies should investigate the factors leading to higher GMV and WMC of hubs in non-demented elderly with higher resilience. The online version of this article ( https://doi.org/10.1007/s11682-019-00090-y) contains supplementary material, which is available to authorized users. Author Florian U. Fischer, Author Dominik Wolf and Author Andreas Fellgiebel declare that they have no conflict of interest. Craik, F. I. M., Salthouse, T. A., & Salthouse, T. A. (2011, March 15). Intelligence, education, and the brain reserve hypothesis: Helen Christensen, Kaarin J. Anstey, Liana S. Leach, and Andrew J. Mackinnon. https://doi.org/10.4324/9780203837665-9. Filippi, M., Heuvel, M. P. van den, Fornito, A., He, Y., Pol, H. E. H., Agosta, F., … Rocca, M. A. (2013). Assessment of system dysfunction in the brain through MRI-based connectomics. The Lancet Neurology, 12(12), 1189–1199. https://doi.org/10.1016/S1474-4422(13)70144-3. Fletcher, E., Singh, B., Harvey, D., Carmichael, O., & DeCarli, C. (2012). Adaptive image segmentation for robust measurement of longitudinal brain tissue change. In 2012 Annual International Conference of the IEEE Engineering in Medicine and Biology Society (pp. 5319–5322). https://doi.org/10.1109/EMBC.2012.6347195. Gibbons, L. E., Carle, A. C., Mackin, R. S., Harvey, D., Mukherjee, S., Insel, P., … Initiative, for the A. D. N. (2012). 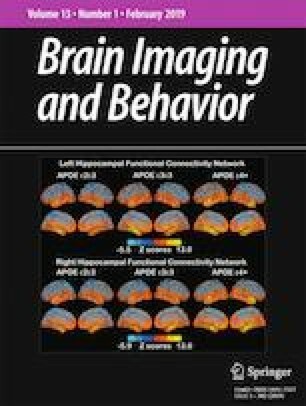 A composite score for executive functioning, validated in Alzheimer’s Disease Neuroimaging Initiative (ADNI) participants with baseline mild cognitive impairment. Brain Imaging and Behavior, 6(4), 517–527. https://doi.org/10.1007/s11682-012-9176-1. Jack, C. R., Knopman, D. S., Jagust, W. J., Petersen, R. C., Weiner, M. W., Aisen, P. S., … Trojanowski, J. Q. (2013). Tracking pathophysiological processes in Alzheimer’s disease: An updated hypothetical model of dynamic biomarkers. The Lancet Neurology, 12(2), 207–216. https://doi.org/10.1016/S1474-4422(12)70291-0. Koller, M. (2016). Robustlmm: An R package for robust estimation of linear mixed-effects models. Journal of Statistical Software. https://doi.org/10.18637/jss.v075.i06. Shaw, L. M., Vanderstichele, H., Knapik-Czajka, M., Clark, C. M., Aisen, P. S., Petersen, R. C., … Trojanowski, J. Q. (2009). Cerebrospinal fluid biomarker signature in Alzheimer’s disease neuroimaging initiative subjects. Annals of Neurology, 65(4), 403–413. https://doi.org/10.1002/ana.21610. Todorov, V., & Filzmoser, P. (2009). An object-oriented framework for robust multivariate analysis. Journal of Statistical Software. https://doi.org/10.18637/jss.v032.i03. Wolf, D., Fischer, F. U., & Fellgiebel, A. (2018). A methodological approach to studying resilience mechanisms: Demonstration of utility in age and Alzheimer’s disease-related brain pathology. Brain Imaging and Behavior, 1–10. https://doi.org/10.1007/s11682-018-9870-8. Zamora-López, G., Zhou, C., & Kurths, J. (2010). Cortical hubs form a module for multisensory integration on top of the hierarchy of cortical networks. Frontiers in Neuroinformatics, 4. https://doi.org/10.3389/neuro.11.001.2010.